Get notified when Pittsburgh Steelers tickets are available! 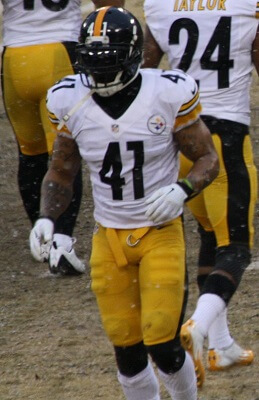 The Pittsburgh Steelers are one of the winningest teams in National Football League history in terms of the number of league, conference and division championships that they have won. Founded in 1933, the team plays in the American Football Conference North Division and is named after the steel industry. On game days, the Pittsburgh Steelers take to the field at Heinz Field in the North Shore neighborhood of Pittsburgh. Dedicated in 2001, the stadium overlooks the Ohio River and has more than 68,000 seats for football games. You can purchase Pittsburgh Steelers tickets online to watch the team play live by checking out the game schedule above.